If you follow Nicequest on Facebook or Instagram, you have probably already heard of our #nicePhoto contest. Every month we invite our Nicequest members to share a photo of themselves and their last gift from our shop on our social media and every month one lucky winner receives 50 extra Shells. Do I win 50 Shells only for uploading my photo? with your gift and the green card. no minors can be in the photos. On Instagram, your account must be public. always add the hashtag #nicePhoto. Make sure the photo is well lit and has good quality. 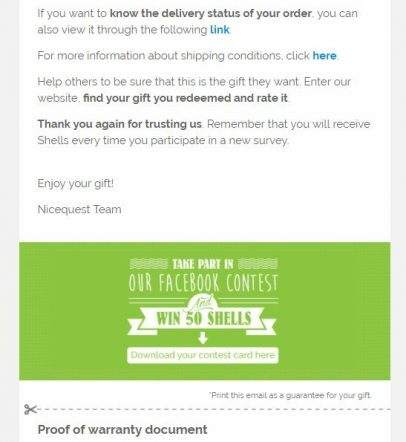 This is a contest for Nicequest members only, since you must have already redeemed your Nicequest Shells for a gift in our online shop. Remember that there can be no children in the picture, even if the gift was for them. All persons seen in the photo must be over the age of 16. Where do I find the green card? When your gift is about to arrive we send you an email with the contact details of the delivery company and that is also where you find the green card. Click on the green banner in the email to see the whole card, print it and take your selfie with it! Click on the green banner to print out the green card. You can also download it on this page about the contest! Where do I upload the photo? There are two options: you can publish your photo on our Facebook wall or on your personal Instagram profile. If you choose Instagram, make sure that we will see your #nicePhoto: tag us with @nicequest in the picture and make sure your account is not set to “private” 😉. How do I publish my photo on the Nicequest Facebook wall? Easy, just click on the photo icon on our wall. You can find a step by step guide here. 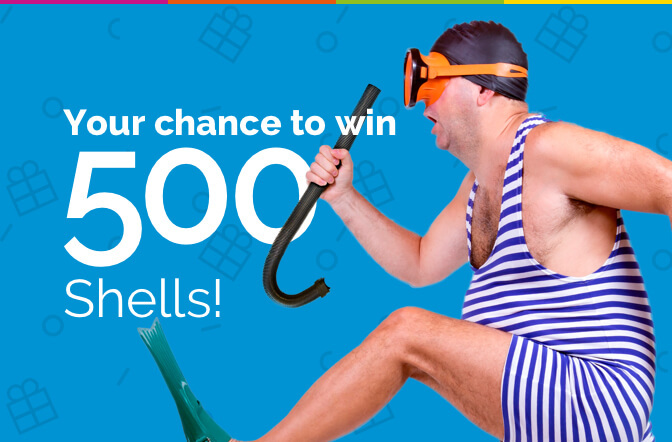 Publish a selfie with your gift for your chance at 50 extra Shells! 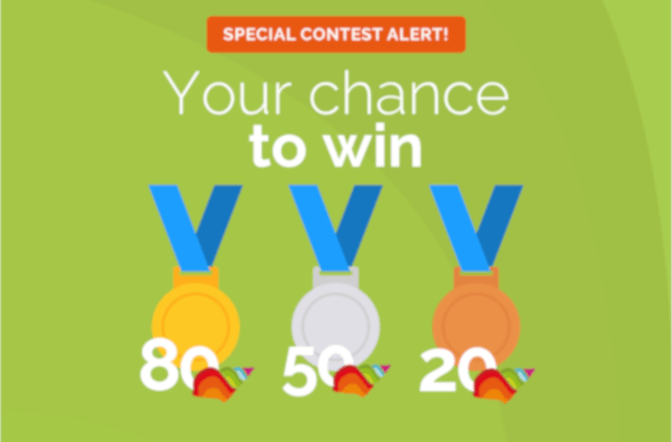 In this contest we choose the winner manually to make sure they meet the requirements and to select the most original one. Every first week of the following month we share the winning photo on our Facebook wall or on our Instagram account. That means, if you participate in November, you will know in the first week of December if you have won. How do I get the 50 Shells? After announcing the winner, we will send them a private message and ask for the email address they use to login to Nicequest to add the extra 50 Shells to the account. If you are the lucky winner, you have the rest of the month to claim your price. However, we recommend that you send us your registration email right after receiving our message to be one step closer to redeeming your next gift. Please note that you cannot claim your prize once we have announced the winner of the next month. Of course 😊. 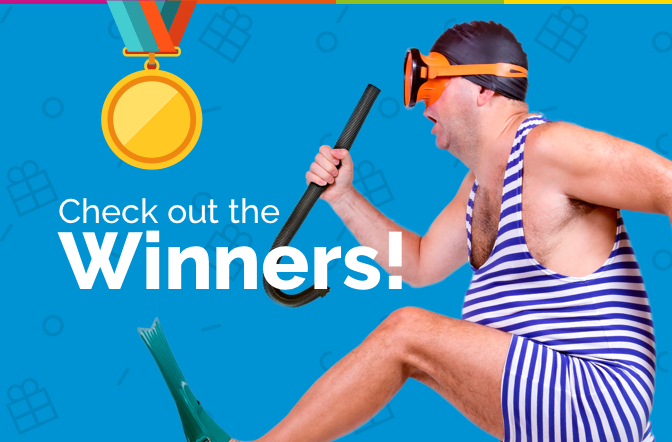 Check our Facebook and Instagram pages to see the winners of previous months! Have you ever participated in our #nicePhoto contest? Tell us about it in the comments! What is your favorite category in the Nicequest shop?